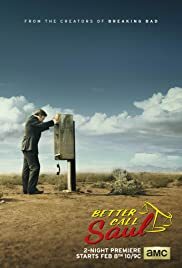 February is a big month for Better Call Saul, Season 2 debuts on Netflix Feb 1st, and Season 3 premiers on AMC one day after Valentine’s Day on the 15th. You’ll have enough time to catch up on all of them, or give them all a second go-around before the new season starts. Give your old pal Saul a call!